Hobbies Collections of kids are becoming now history on today’s technologies. Today’s kids are happy with Tab’s, ipod’s and latest gaming technology. But we are blessed to be the kids of 90’s era. Our hobbies and collections may look waste by elder ones but the happiness they gave at that age and still now. Travelling one of the most happiest moments of life and our best achievement was getting the first single seat opposite to driver. Sitting like a king on the single seat, enjoying overtakes, looking proudly the gesture of the drivers while overtakes and dreaming when we become elder have to drive a bus like him. Another most happiest moment is collection of our travel tickets. 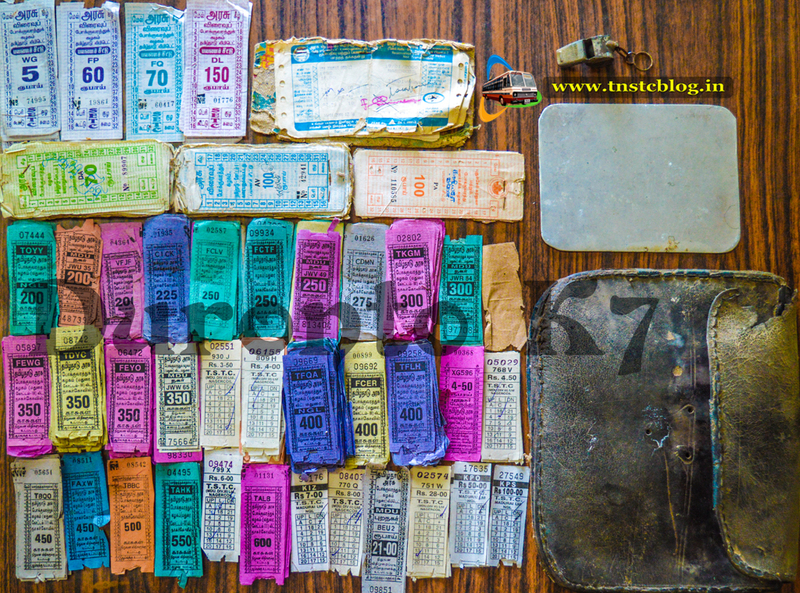 Here we go with with a collection of TNSTC SETC tickets from 90’s. Suyambu Kesavan ( Duoronto K7 ) of Kanyakumari dist collects tickets from his age of 12. Today it look like a great treasure to us. The highlight of his collections are TSTC Nagercoil Madurai Div iii, Offline computerized ticket of SETC, and the lowest fare of city 200 Paise & Mofussil 350 Paise. Many Bus fans have collections of tickets and some missed too but he is one step ahead of everyone by collecting an old leather conductor bag and a aluminium writing pad. we have wondered many times how conductors fill their invoice on the high speed bus with the support of these small sheets. Its our honor to bring this nostalgia for our viewers once again a big thanks to Duoronto K7 for his valuable collections.